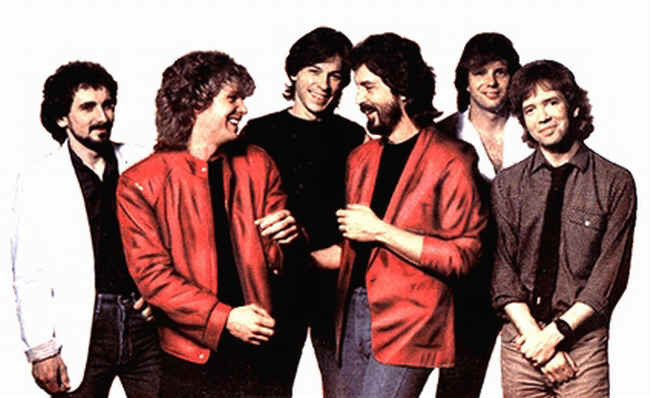 Some years ago, local rocker, DJ and “PM Magazine” co-host Michael Stanley was commissioned by the Cavaliers to write their theme song. The Springsteen-esque tune’s energetic blue collar message was meant to connect with a fanbase that appreciates hard work and scrappy play over pomp and showmanship. Flash forward to the late ‘90s and me hanging out with friends at their house on the campus of Ohio State University. I spent many nights with this totally awesome group of guys, lustily singing without irony and even in mixed company the Stanley-penned fight song before each Cavs game. We’d then watch Coach Mike Fratello employ a slow-it-to-a-crawl offense that squeezed every drop of talent out of a roster full of role players. Scores of 77-75 and 80-76 were common during those days. Fratello’s teams averaged about 45 wins a year, but never made it out of the first round of the playoffs. “Hard working team” or not, those mediocre turn-of-the-millennium Cavs were never going to win a championship for a “hard working town” desperate for one. In some ways, the 2010 Cavs remind me a bit of those old Fratello teams, starting with how Coach Byron Scott’s play style get more attention than any individual player, even if Scott’s up-tempo, pass-happy offense is more fun to watch than boringly efficient Fratello-ball. The new Cavs, even in losing That Guy in Miami, are certainly not as terrible as some in the national sports media would have us believe. JJ Hickson is a nice young talent with upside who’s surrounded by decent role players and a couple of former All Stars who are capable, when healthy, of putting up 20 points on a given night. When the offense is flowing as it did against Philadelphia and Washington this weekend, these guys are going to beat some teams. What's more, this team’s unselfish chemistry has been enjoyable to watch and is easy to root for. Still, as a fan among millions who would like to see that parade down Euclid Avenue some day, I can’t help but think about Cavs basketball not just bringing back the scrappiness of the Fratello years, but returning to the treadmill-like non-progress of the late-‘90s “Mills, Phills and Hill” teams as well. After all, while “nice” and “decent” are fine qualities for your daughter’s Homecoming date, they just won’t cut it in a superstar-driven sports league. Coach Scott, I’m afraid, arrived one year too late, because the Cavs as currently constructed are destined to win 35-40 games a season, which will plunk them squarely into the depressing NBA shadow realm of 8th-playoff seed/low lottery pick. In the NBA, it’s said that the worst place to be is in the middle. This is not a league where you can “contend while rebuilding,” as Indians’ GM Mark Shapiro once tried to sell Cleveland baseball fans. To me, that means the Cavs probably have to get bad to get better. It’s a painful process and we’ve been there before, but it’s preferable to the hamster wheel-like futility facing the Cavs if they try winning big with what they have. As Cleveland is not exactly the #1 destination for superstar free agents, it will take high draft picks, smart trades and plain luck for the Cavs to get back to any level of prominence within the next five years. GM Chris Grant first needs to look at any offers for Andy Varejao, especially if he can get a team to take the contractual albatrosses of Antawn Jamison or Mo Williams off the franchise’s neck. Then you clear the decks; blow it up; choose your cliché. It’s either going to happen now, or it’ll happen three years from now. Play the kids and draft a solid character guy who can create his own shot. Build on that.